The China Trade room reflects New England’s fascination, and lucrative, longtime commerce, with China. Beauport’s charm begins with lush gardens of perennial flowers and coastal grasses, and a rear brick terrace overlooking Gloucester Harbor. The home’s fairy-tale exterior—pitched rooflines, tower, belfry, diamond-paned leaded-glass windows, and chimneys are an amalgam of Arts and Crafts, Gothic, medieval, and early Colonial architecture. The interior is just as eclectic. Sleeper originally built a modest Arts and Crafts-style cottage, but expanded it slowly during the years he summered there. The resulting 40 rooms (26 of which are shown on daily guided tours) are mostly packed together like a warren, with alcoves, odd-angled rafters, and linking stairways. And everywhere, exquisitely displayed, are the more than 10,000 objects and furnishings that Sleeper acquired, with special fondness for salvaged architectural artifacts. Sleeper’s light-filled “Golden Step” room, holding a bank of diamond-paned windows overlooking Gloucester Harbor, is a nod to New England’s maritime history. Woodwork, the trestle tables and chairs, and a cabinet painted a sea-foam green set off majolica and Wedgwood dishware. Prow ornaments of bare-chested mermen hang on the wall amid models of a China trading vessel and whaling and fishing ships. Gardner visited Beauport many times, as did other prominent members of Boston and New York society and art circles; Eastern Point itself was developed at the turn of the twentieth century as a wealthy summer enclave (which it still is). Yet the residents, at least those Sleeper socialized with, tended to be the less conventional members of the elite, more “bohemian-minded” and intellectual. Sleeper himself came from a Boston family of comfortable means: his father, Jacob Henry Sleeper, was a revered Civil War veteran, and his grandfather, Jacob Sleeper, a founder of Boston University. Reportedly frail, the young Sleeper was presumably tutored at home, Van Koevering says, but no record of any formal education exists. In 1906, as a 28-year-old bachelor, he was introduced to Eastern Point by Abram Piatt Andrew, Ph.D. 1900. An economics professor at Harvard, Andrew served as director of the U.S. Mint in 1909 and 1910 and played a role in the creation of the Federal Reserve System. Also a bachelor, he had already built his own summer home, Red Roof, on Eastern Point’s rocky ledge. 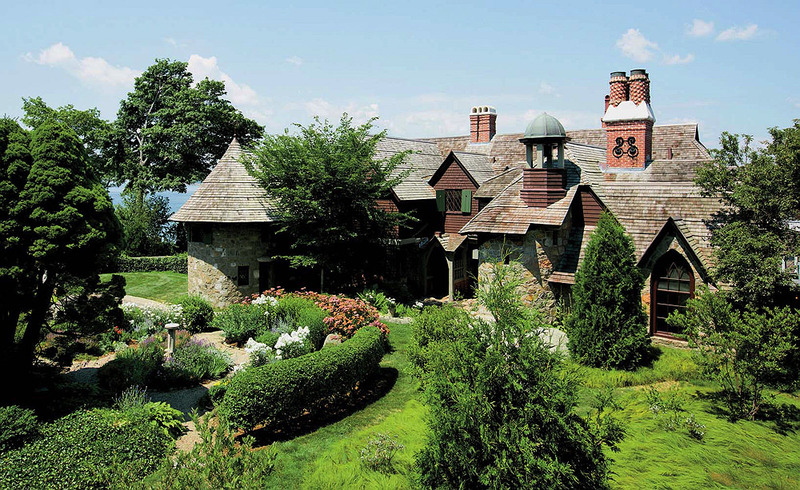 Enamored of the site’s beauty and “clearly besotted” with Andrew, Van Koevering says, Sleeper purchased a lot one house away, and by 1908 had moved into Beauport, named for French explorer Samuel de Champlain’s description of Gloucester Harbor. The two men became close, and years later during World War I, when Andrew founded the American Field Service, an organization of volunteer American ambulance drivers who worked on the front lines in France, Sleeper served as its administrator and fundraiser both in Boston and in Paris. Sleeper's summer home sits on Eastern Point, with views of Gloucester Harbor. Beauport's "Golden Step" room celebrates maritime history and culture. Beauport drew crowds even during Sleeper’s lifetime; it was not that unusual for people to show up at the front door requesting a tour, which Sleeper’s longtime housekeeper, Mary Landergan Wonson (who stayed on after his death), typically obliged. He had earned a national reputation as a designer, curating decorative art exhibits and serving as a consultant to museums and collectors. 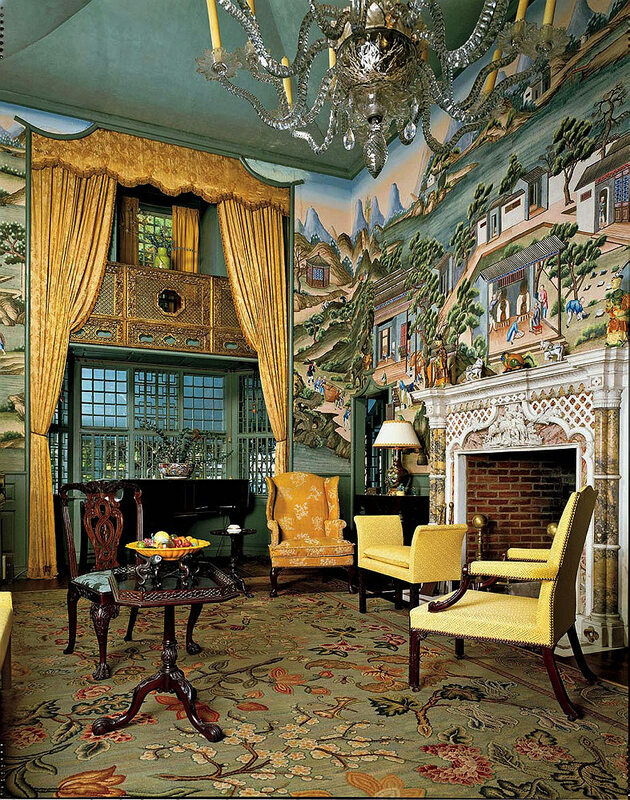 In 1924, those planning the new American wing at the Metropolitan Museum of Art in New York City spent several weeks at Beauport, soaking up the placement of antiques and color schemes of its period-style rooms. From 1909 to 1911, Sleeper even served as the first “director of museum” (overseeing the collections) at the Society for the Preservation of New England Antiquities, which later became Historic New England. Sleeper’s brother inherited Beauport, but couldn’t afford to keep it. In 1935, the conservation-minded Helena Woolworth McCann, heir to the Woolworth department store chain, bought the mansion and preserved it virtually as Sleeper had left it. The McCann family spent several years summering there, but by 1941 both she and her husband had died. Their children, knowing their mother’s wish that Beauport be preserved as a house museum, donated it to Historic New England with the caveat that they could stay there whenever they wanted. One of them often did, into the 1970s, amicably closing the door to her quarters in the “Red Indian” room when tours came through. And therein lies much of Beauport’s appeal. It’s not stuffy, or built on a grand scale; and it lacks the ostentatious flash of many of the Newport mansions. 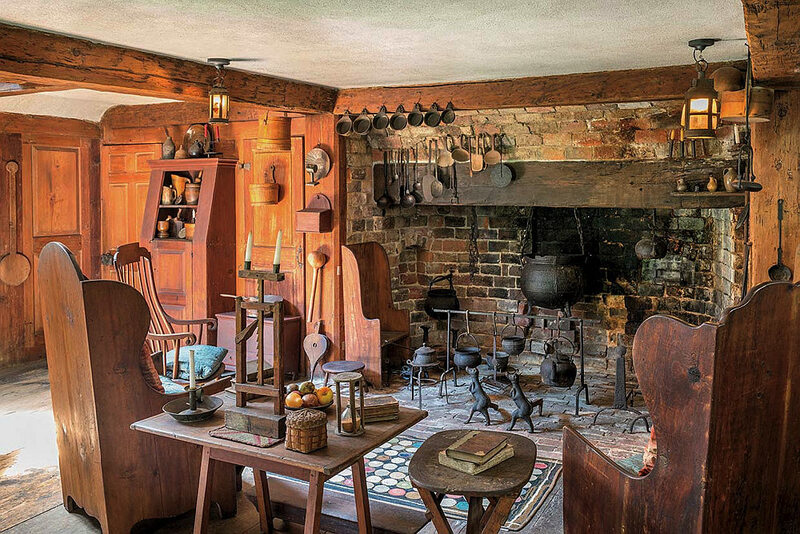 Instead, the place speaks to a generous creative spirit, and still holds a warmth that’s unusual in a house museum. “It was a place that was lived in, was comfortable, and enjoyed,” Van Koevering says. And it will just stay that way.